The Mekong Delta has consistently recorded the highest average provincial competitiveness index (PCI) among six regions nationwide since 2014, said the Vietnam Chamber of Commerce and Industry (VCCI). Among 10 cities and provinces across the country showing the best governance, five are in the Mekong Delta, including Dong Thap, Long An, Ben Tre, Vinh Long and Can Tho, as heard a seminar discussing the PCI 2017 in the Mekong Delta and lessons on management and reform experience that took place in Can Tho city on May 4. Head of the VCCI’s Legal Department Dau Anh Tuan, who is also Director of the PCI Project, said the Mekong Delta’s average PCI rose from 59.12 point in 2014 to 63.4 point in 2017, ranking first among six regions nationwide. It also boasts the easiest business registration conditions with fastest administrative procedures and least red tape. Firms operating here incur the least costs, enjoy easier access to land and a fair business environment with their feedback most listened to by authorities. 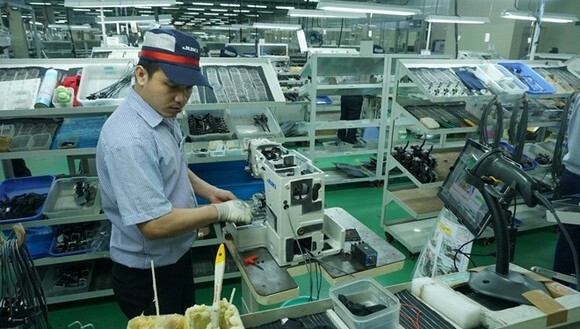 Tuan suggested the region strives to improve workforce quality and business support services with the involvement of private sector, continue with administrative reform, unlock micro, small and medium-sized enterprises’ access to capital and step up the establishment of new firms. VCCI President Vu Tien Loc asked the regional localities to issue resolutions on PCI improvement, and build PCI at ward, commune and district levels to measure businesses’ satisfaction with public services, thereby fueling administrative reform. Nguyen Phuong Lam, Deputy Director in charge of the VCCI’s Can Tho chapter, said 9 out of 13 cities and provinces in the Mekong Delta region have built a programme on start-ups and building start-up eco-system, adding that improved PCI will facilitate innovation and domestic and foreign investment attraction. Participants listened to experience in administrative reform and business environment improvement by experts and firms shared by the northern province of Quang Ninh and the central city of Da Nang.